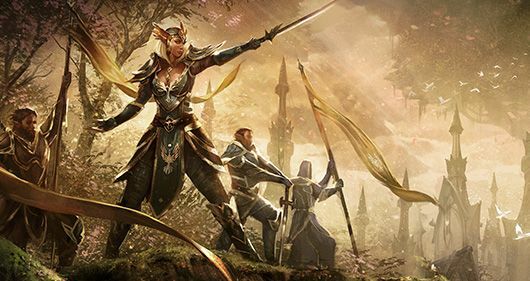 The Elder Scrolls Online’s latest lore entry is asking you to read between the lines just a little bit. On its surface, the entry is straightforward enough, giving players a peek at the reigning queen of the Aldmeri Dominion. Ayrenn the Unforeseen Queen is just another one of the Alliance leaders, right? But the fact that the entry is written in the style of an in-game document allows for some additional hints to be dropped along the way. In the official documents, Ayrenn is nothing more or less than the culmination of tradition, a perfectly prepared queen to lead the High Elves. But it becomes clear from the story that this is a queen who left her tradition behind for quite some time until she decided to return, a woman more than willing to break the rules to obtain what she wants. Take a look at the full entry and get ready to bend your knee to the queen in the game, since she may very well bend it for you otherwise. I sometimes feel like I’m the only one in the entire world who doesn’t give two shits about it not being Elder Scrolls V (because I find the single player ES games boring as all heck). I’m excited at what I’ve seen from this ES MMO so far. My understanding is that Beth is still developing single player ES games for those who wish to spend hundreds of hours in a sandbox, so I really don’t get why people want to take away this themepark from those who don’t care for sandboxes. This game continues to sound very promising to me. I actually think the art and character models I’ve seen look better than the earlier ES SP games. Edit: Oh my. Massively’s new comment system now seems to be displaying my avatar (which has been there all along but never displayed properly). Holy Bumbles!